Many minority languages like Irish have tended to survive best in isolated areas while their use has been restricted primarily to domestic, educational and social domains. This has had a negative effect on the development of these languages, especially with regard to new terminology. However, the increasing availability of audiovisual material, dubbed into these languages, is now opening up exciting new ways of providing linguistic stimulation to scattered communities of minority language speakers. 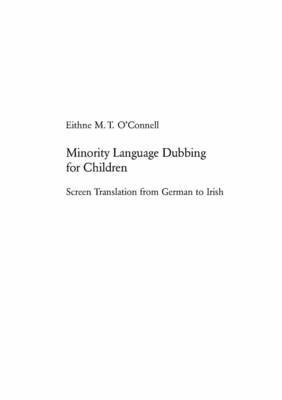 Since it is the younger generation that must carry a language into the future, this study investigates the dubbing into a minority language of television animation for children and examines the influence of various constraints on the screen translation process with regard to the major/minority language pair (German into Irish), the translation method (dubbing) and the target audience (children). Although the examples used are selected from a German series, "Janoschs Traumstunde, and the corresponding Irish version, they are glossed in English so it is not necessary for the reader to know either German or Irish. It is hoped that this work will contribute to a better understanding of issues relating to dubbing and to changes in minority and major language screen translator training and practice.